The pluckfoam is our most sold option. 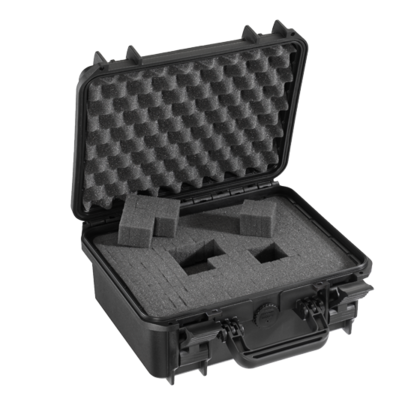 All cases can be ordered with this foam. So what is pluckfoam and what do you get? The bottom is build up out of multiple layers of soft foam. First a flat layer of foam, followed by 1 or more layers of pluckfoam. All bigger models contain multiple layers. The pluckfoam is a rastered foam which is still attached in some places. This can be easily torn loose, and so shape the foam yourself. In the lid convoluted foam has been placed, which keeps everything in place with minor pressure. This case is supplied with a self adjustable partitioning system. The deviders are wadded and soft to the touch, so they can protect the items properly. All deviders have a velcro skirting to re-attach them to the places you want. A CAM interior is standard equiped with convoluted foam in the lid. 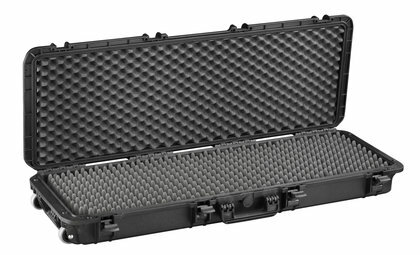 A toolcase has a layer of hardfoam on the bottom as a finish and protection of the products placed loose on the bottom. 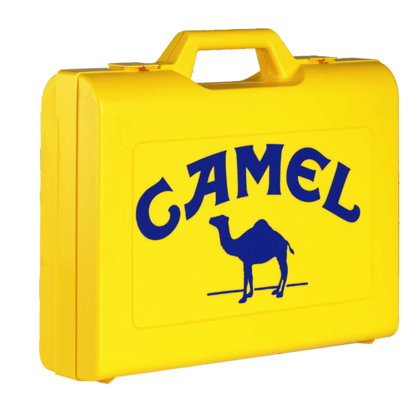 Depending on the size, this case has one or multiple toolpanels. 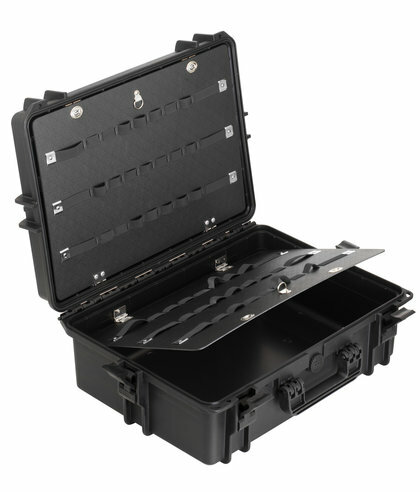 These hard plastic panels have elastic bands as to where tools can be placed behind. In the lid a seperate documentholder has been glued. In front of this compartment a few more elements can be placed, which is adjustable in sizing by velcro. 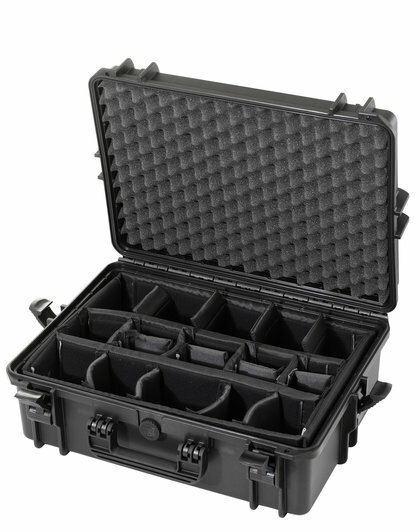 All toolcases are suppled with a shoulderstrap. This model has 2 layers of convoluted foam, 1 in the lid and 1 on the bottom. This is a flexible appliable foam. This way the products can be placed against each other without having to adjust the sizing of the foam. On all cases a cutout has been made to place a possible domed label. These special high tack vinyl labels have a thick transparant plastic coating. This looks very good and is highly durable. 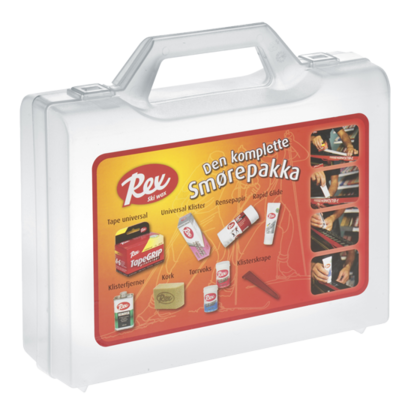 All cases can be fitted with a permanent serigraphy consisting out of one or multiple colours. If necessary we can even print one case. 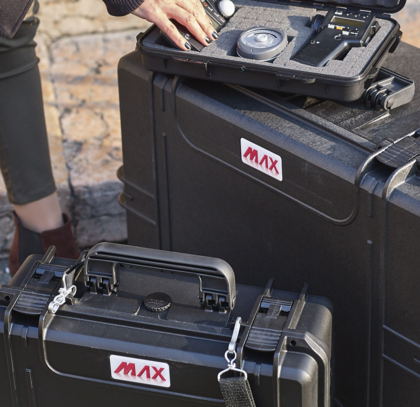 All cases can be fitted with a label. Every number is possible here. We only work with the best quality labels. These come with a permanent adhesion and a laminate to protect the label from scratches.